1. Why do dogs wag their tails? 2. Why does my dog lick me? Dogs will often lick their owner or other people as they like the taste of their skin and as a sign of affection. For dogs, licking releases pleasurable endorphins and releases stress. 3. Why is chocolate bad for my dog? Though chocolate is a tasty treat for humans, for dogs it is poisonous. Chocolate’s toxic component is theobromine. Dogs process theobromine very slowly, which allows for it to build up in their system to toxic levels. Different types of chocolate have different amounts of theobromine, but chocolate should always be out of reach of dogs. You may notice your dog twitching or emitting light barks in his sleep. And just like us, dogs dream and go through REM sleep, which is the cycle in which humans experience dreams. Vetstreet also found that puppies and older dogs usually dream more often than middle-aged dogs! 5. Why do dogs howl? There are four main reasons for why dogs howl. Ancestry, communications, sickness or injury, and separation anxiety. Because dogs are related to wolves, they could still have the urge to howl. They might not even know why they’re doing it. Howling is a normal thing for dogs to do as long as it is not chronic, pervasive or invasive. 6. Why do dogs have wet noses? Dog noses secrete a thin layer of moisture that helps to absorb scents. Then, they lick their nose, so they can essentially taste those scents. 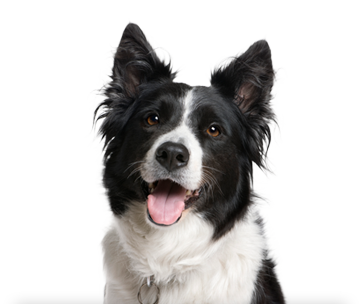 Having a wet nose is also one of the ways that dogs can regulate their body temperature. 7. Why do dogs have whiskers? Dog whiskers have follicles at the base, which have nerves that send messages to the dog’s brain. Whiskers serve as receptors for important information, such as size, shape, and the speed of nearby objects, people, or animals. 8. Why do dogs eat grass? Sometimes dogs will eat grass because they have an upset stomach, and sometimes they may just be craving essential nutrients that they’re not be getting in their regular diet. Generally speaking, most experts see no danger in letting your dog eat grass in small amounts (assuming there is no pesticides and chemicals in the grass). If your dog has a sudden increase in grass eating, there could be an underlying issue, that requires veterinary assistance. Also called ‘Whirling’, chasing one’s own tail is a natural behavior and a form of play for predator animals. As a puppy, chasing their tail can be a short-term cure for boredom or a way to gain attention. If your dog is chasing their tail as an adult, it may be part of a larger issue, like fleas, worms or even a behavioral problem (i.e. compulsive disorders). 10. Why do dogs bury their bones, food or other items? Wild dogs used to bury their food to hide it and save for later so that other animals couldn’t get to it, but now that domesticated dogs have plenty of food, there are a few reasons why they’re still burying things. One reason could be instinct – Just because they’re domestic animals doesn’t mean that they lose the urge. The second reason could be that their owner is giving them too much food/toys and the dog wants to save it for later. Another reason could be that it is a game to them. If your dog wants your attention or is bored, they may steal valuable items from you (such as shoes or TV remotes) in order to get you to play with them.